Even though it sometimes comes at the expense of not getting enough sleep and missing out on social events, one thing I love is continuing to learn. 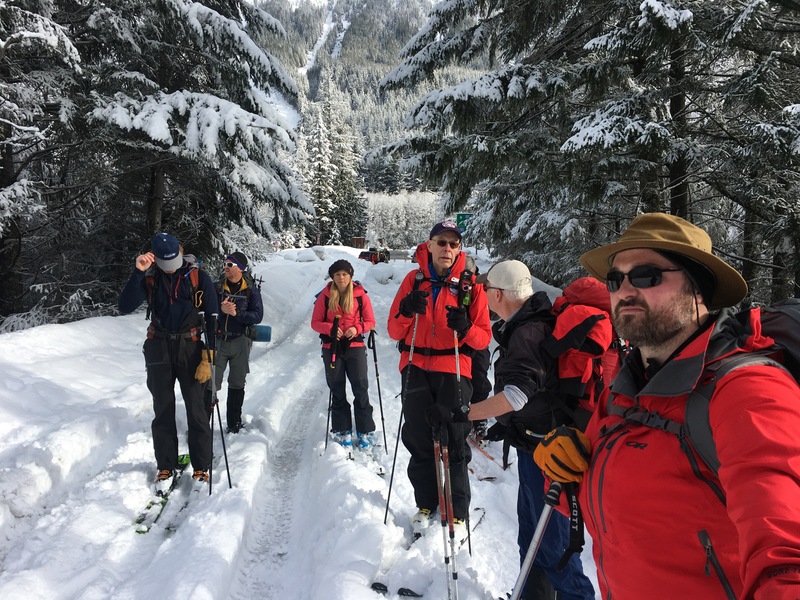 Reading books and articles is one method, seeking out those with more experience another, and watching documentaries or going to lectures to hear experts share their stories are all great means of continuing education when it comes to the world of outdoor recreation. 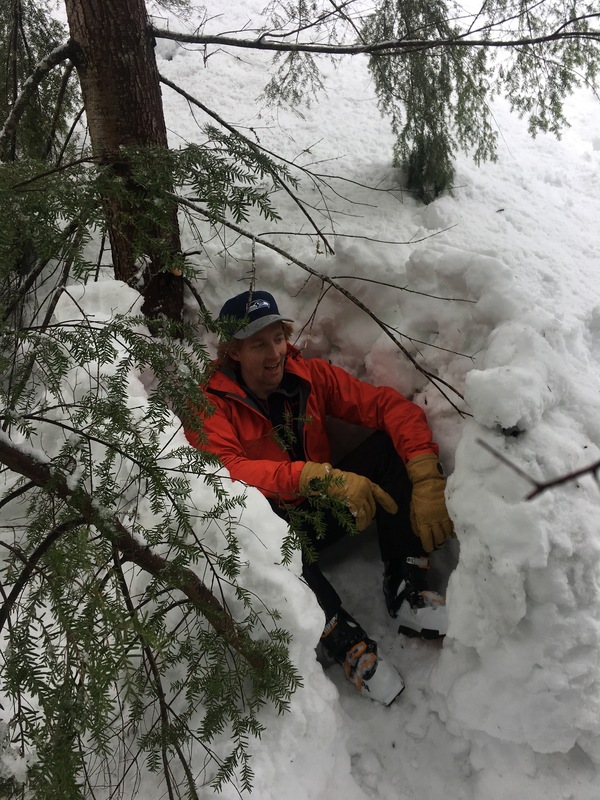 However, the one that I pursued this weekend was more formal learning, and that was the first two (of four) days of the National Ski Patrol’s (NSP’s) Mountain Travel and Rescue (MTR) class. In class, we reviewed our reading assignments, practiced navigation and compass skills, went over knots, and compared gear and discussed what would be needed for the upcoming field days. 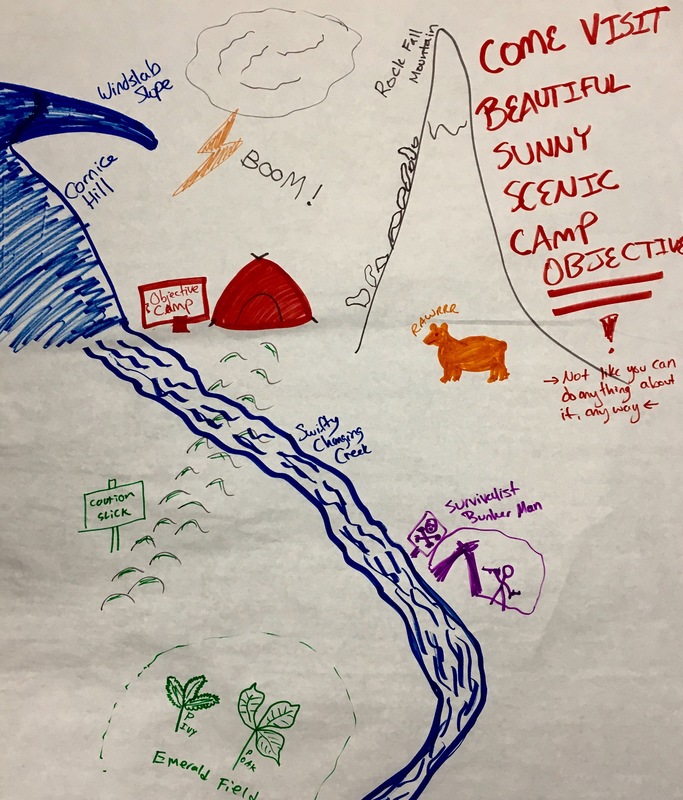 My group, Chris C. and Matt C., had a little too much fun with our teach-back assignment of making a public safety announcement poster illustrating objective hazards that exist in the outdoor environment. 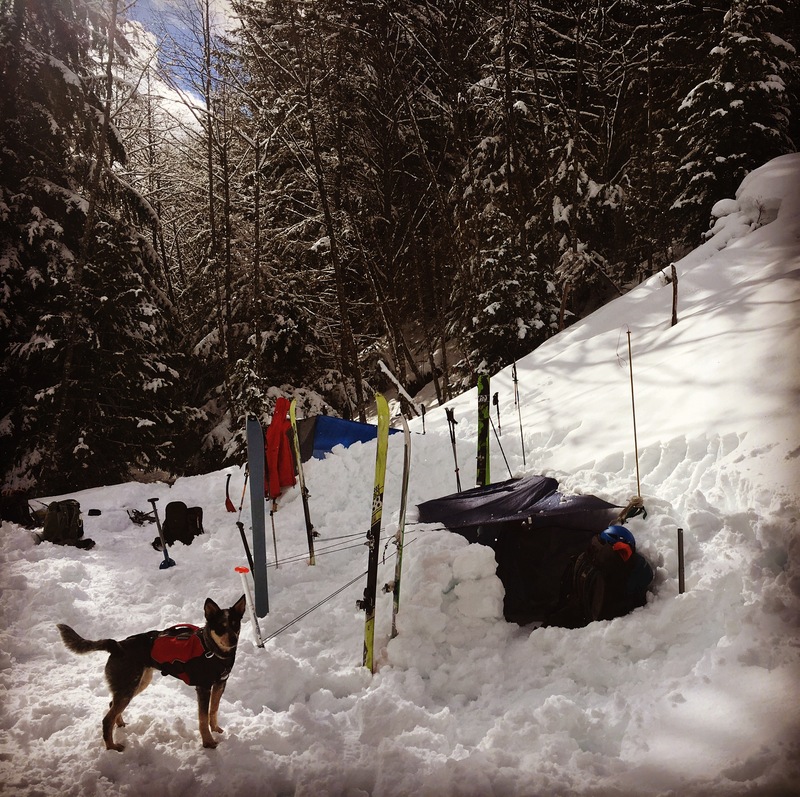 Day two saw us all up at exit 47 in Snoqualmie Pass for a field day. 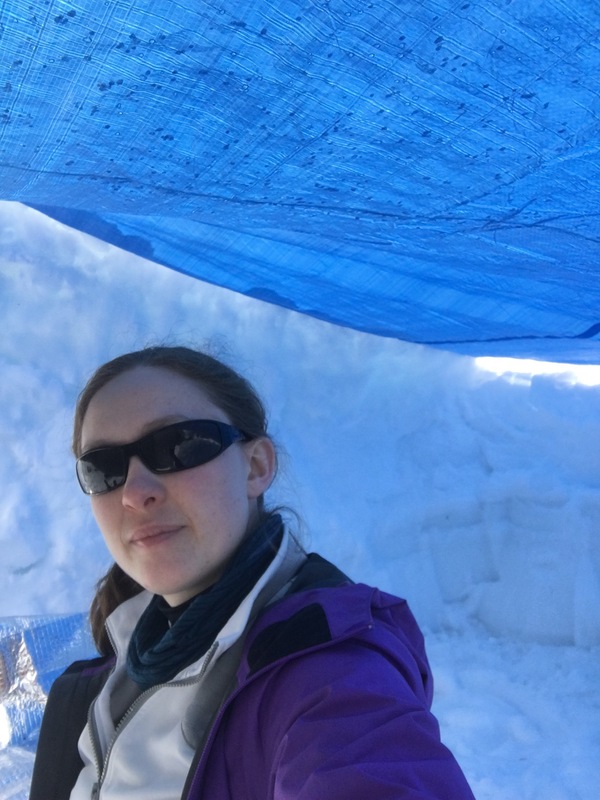 We lucked out with good weather and comfortable conditions. 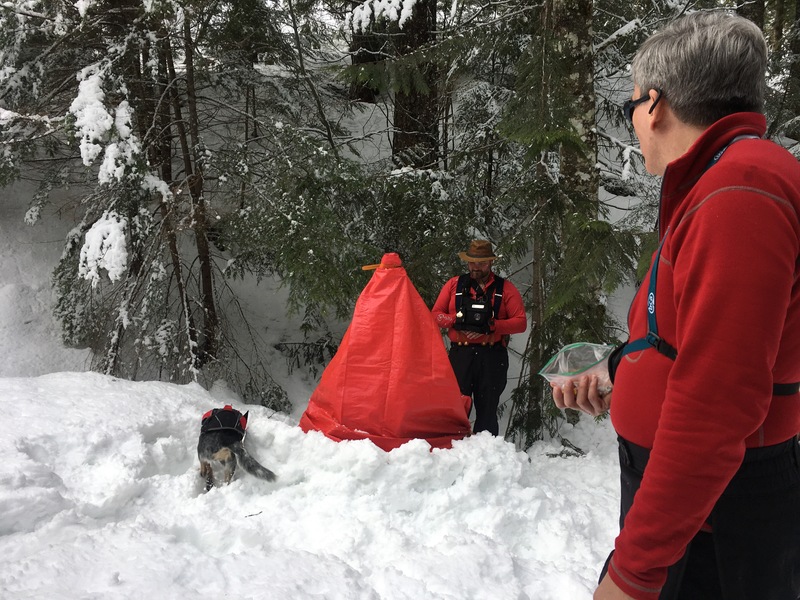 What we covered included Search and Rescue (SAR), group winter travel, group emergency shelters, individual emergency shelters, and anchors for rescue (i.e. how to secure ropes/rigging in a safe enough manner to raise or lower someone). 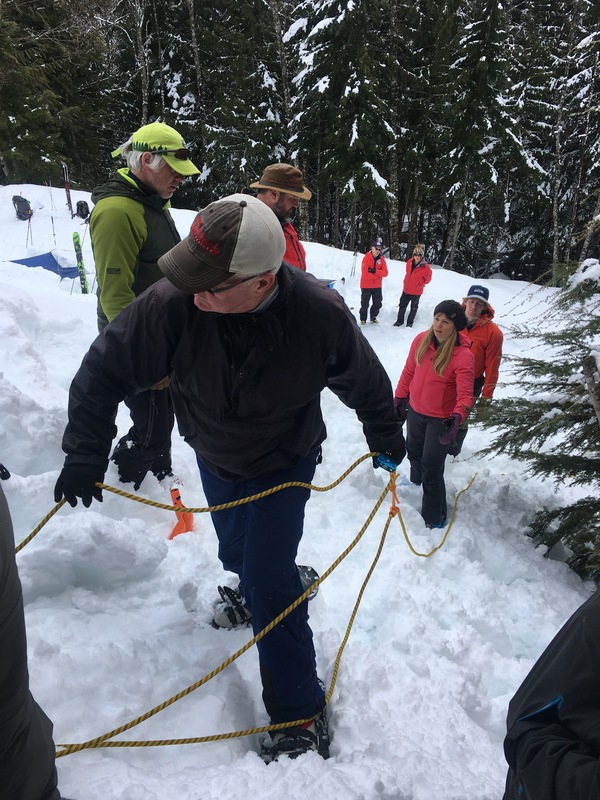 While it was a lot of fun and I enjoyed learning several new things, the part I found intriguing was the group and communication focus of the search and rescue portion. 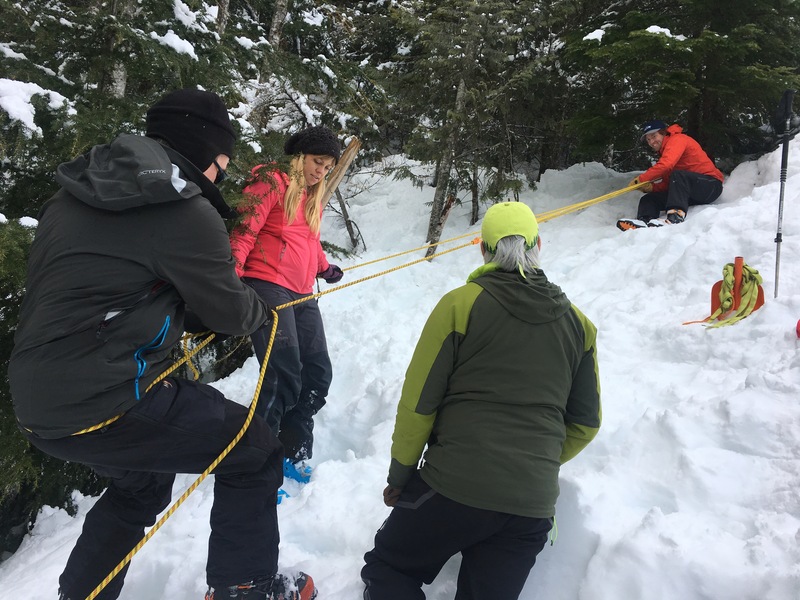 Rather than focusing on all the details of how to conduct a search, the emphasis our instructor put on the class was how to succeed as a group during search and rescue operations. We looked at team dynamics, communication, resource distribution, etc. One take-away for me and several others in the class who aren’t formally involved with SAR was the use or the Green-Amber-Red (GAR) mode. 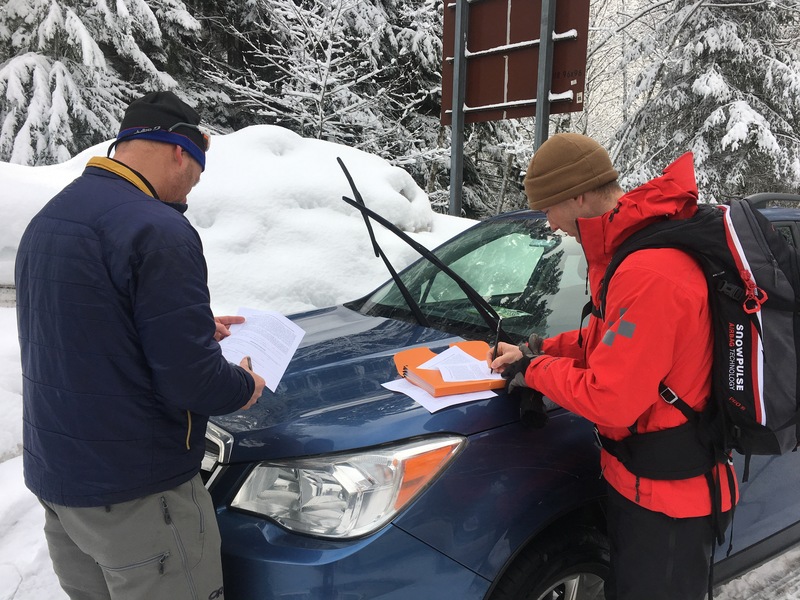 From what we were told and additonal readings I’ve come across online, GAR is used to check-in with the team leading into a mission regarding risks and readiness. On a basic level, everyone in the group is asked if they are green, amber, or red, and if anyone in the group is red the whole team takes time to listen to their concerns and decide how to mitigate the risk or make a plan to address the concern. Apparently the more formal method involves a numerical value rather than just a color where each team member says a number between 1 (low concern/risk) to 10 (very high concern/risk) and the same procedure is followed based on the numerical results. 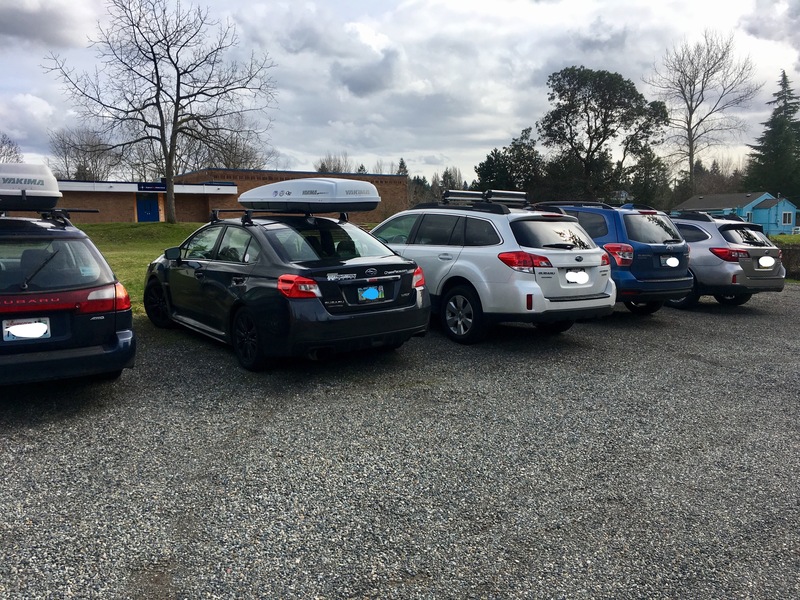 In any case, I really liked this idea as a good way to check-in with a group before heading out somewhere. I think I will start incorporating this into the group hikes I do, especially since asking “how’s everyone doing” really doesn’t generate much of a response. 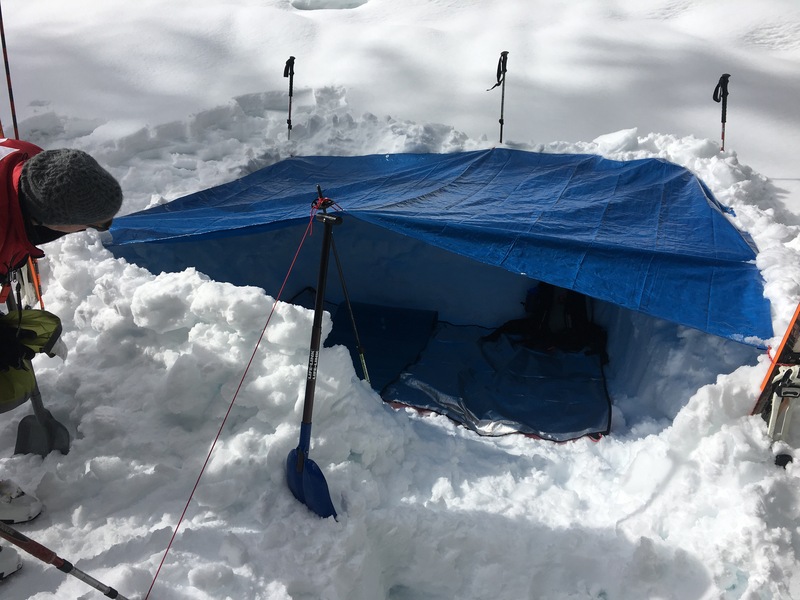 In two weeks, we will have days three and four of MTR which will include an overnight out in the snow… and not even a year ago I was telling Nick D. that I thought he was nuts to be camping in winter and how I would never be able to do that! I guess I’ll have to eat my words now, because that’s exactly what I’m about to do, and I’m really looking forward to it!